Find out if you live in a hurricane evacuation zone by using the Hurricane Evacuation Zone Finder. 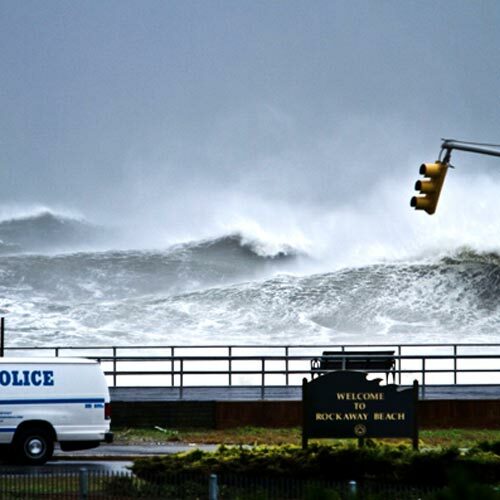 Get to know the hazards associated with coastal storms and hurricanes. Sign up for Notify NYC to receive emergency information by email, text message, phone, or Twitter. Make a plan with your family so you will know what to do, how to find each other, and how to communicate in an emergency. 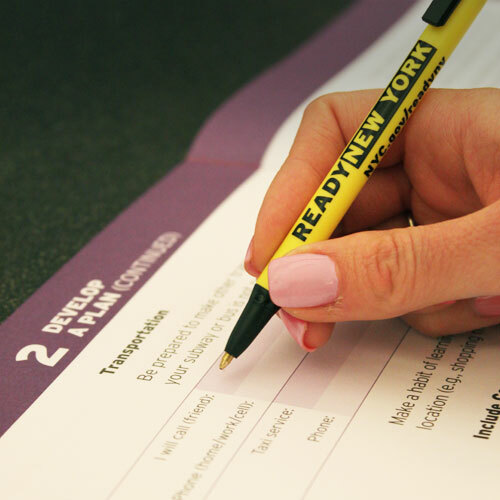 Download the Ready New York: Hurricanes and New York City brochure. Get a virtual Know Your Zone badge and put your preparedness on display. Flood zones should not be confused with hurricane evacuation zones. Get more information about flood zones. Request a Ready New York presentation. 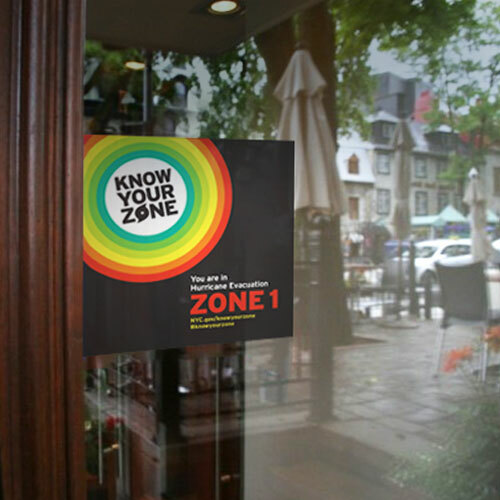 Get quick instructions on how to Know Your Zone with the Know Your Zone video, Know Your Zone Snapguide and the Know Your Zone motiongraphic. What are hurricane evacuation zones? There are six hurricane evacuation zones, ranked by the risk of storm surge impact, with zone 1 being the most likely to flood. In the event of a hurricane or tropical storm, residents in these zones may be ordered to evacuate. I noticed that my zone has changed. Why is that? In 2013, the City changed the hurricane evacuation zones from A, B, and C, to zones 1 through 6 (with zone 1 being the most likely to flood). The increased number of zones provide the City with more flexibility in targeting areas to evacuate in advance of a predicted storm (making it less likely to over- or under-evacuate areas). What's more, the new zones incorporate newly available data, including a new storm surge model from the National Weather Service, topographic data, and information from actual events such as Hurricane Irene and Hurricane Sandy, so that the City can more accurately delineate areas most at risk of flooding due to storm surge from a hurricane. 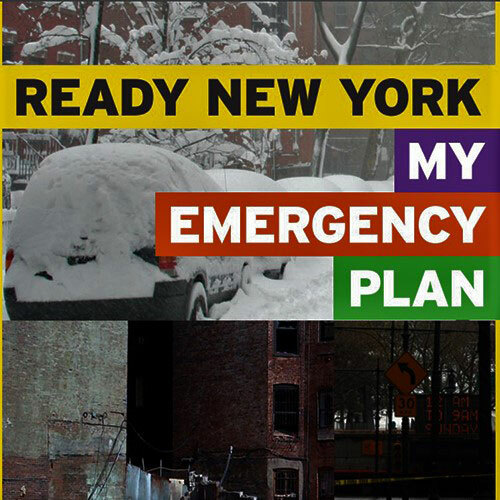 Read the Ready New York: Hurricanes and New York City guide or visit the NYC Emergency Management website for tips and information on what to do before a storm, in the event of an approaching storm, and if the City issues an evacuation order. 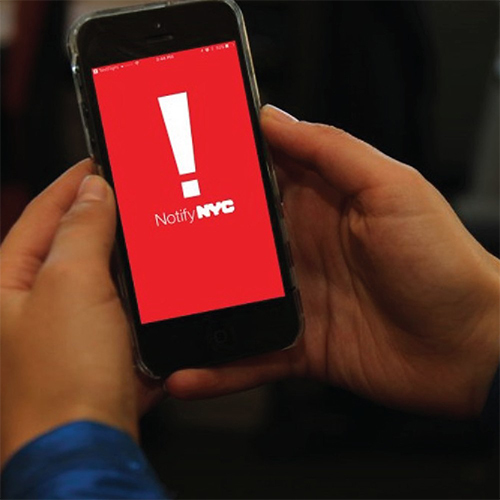 You can also sign up for Notify NYC to receive emergency information by email, text message, phone, or Twitter. Register for free to receive Notify NYC notifications or follow @NotifyNYC on Twitter. What are the hurricane hazards? No storm combines duration, size, and wind speed more destructively than a hurricane. 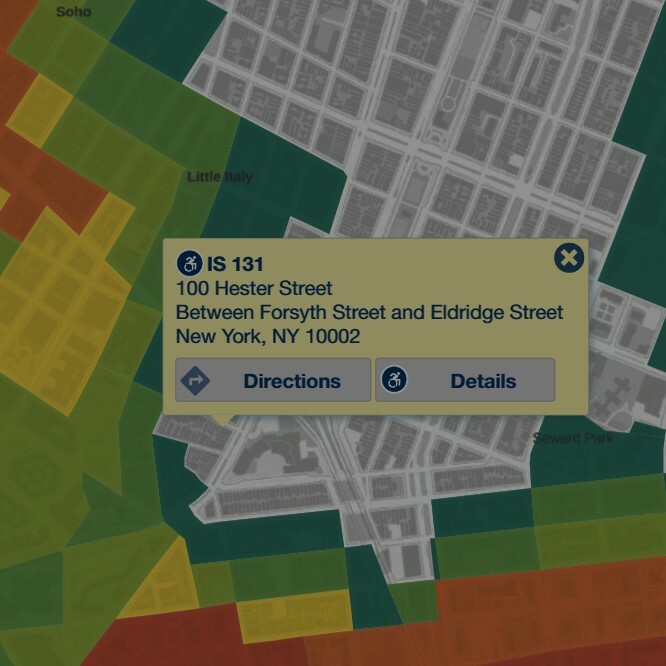 New York City's geography makes it especially vulnerable to wind and flooding. With sustained winds of more than 74 mph, hurricanes can flatten homes, topple trees and turn loose objects into deadly projectiles. The storm's driving winds and torrential rains can cause massive and dangerous flooding in low-lying and poor-drainage areas. However, storm surge — the dome of seawater pushed forward by the oncoming storm — is the most serious hurricane-related hazard. What should I do if I have a disability, or access or functional need? Everyone should have a plan that outlines what to do, how to find each other, and how to communicate if a hurricane strikes New York. Make sure that your preparedness plan addresses how your needs may affect your ability to evacuate, shelter in place, or communicate with emergency workers. Consider your unique transportation needs, dietary needs, and medical needs in the event you need to evacuate or ride out a storm at home. Are FEMA's flood zones different from hurricane evacuation zones? FEMA's Flood Insurance Rate Maps (FIRM) are regulatory maps developed for the National Flood Insurance Program. The FIRMs are used to set flood insurance rates and building regulations. Residents should not use the FIRM zones to determine the need to evacuate. The City will determine which of the hurricane evacuation zones (from zone 1 up through zone 6) should be evacuated based on the characteristics of an actual storm as it is approaching the city. Get more information on the FIRMs and related efforts in New York. What are evacuation route signs and why are they in my neighborhood? Evacuation route signs point the way to high ground, away from coastal flooding. If you must evacuate, leave your home before storm conditions make roadways unsafe. Visit the NYC Emergency Management website for additional tips and information on what to do before a storm, in the event of an approaching storm, and if the City issues an evacuation order.